Chromium is the open source web browser project from which Google Chrome draws its source code. Chromium builds have the most infrastructure for analyzing crashes and reporting bugs. The project's hourly Chromium snapshots appear essentially similar to the latest builds of Google Chrome aside from the omission of certain Google additions, most noticeable among them: Google's brand, auto-update mechanism, click-through licensing terms, usage-tracking, and bundling of Adobe Flash Player. The Chromium Project takes its name from the element chromium (Cr), the metal from which chrome is made. Google's intention, as expressed in the developer documentation, was that Chromium would be the name of open source project and that the final product name would be Chrome. 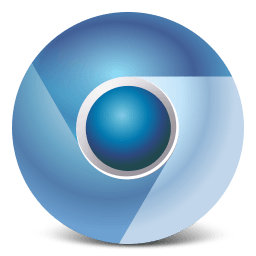 However other developers have taken the Chromium code and released versions under the Chromium name.